(Bangkok/Jakarta, 25 April 2018) – As leaders of ASEAN Member States meet to discuss international and regional issues at the ASEAN Summit from 25 – 28 April 2018 in Singapore, the Asian Forum for Human Rights and Development (FORUM-ASIA) raises its concerns to the Heads of State of ASEAN about the continuously deteriorating human rights situation in Southeast Asia, particularly the gross human rights violations committed against the Rohingya community. The Association of Southeast Asian Nations (ASEAN) is known for its principle of non-interference in relation to internal affairs of other Member States. Use of this principle, however, has often been very costly. It has prevented ASEAN from taking action on serious human rights violations in the region, such as: the gross violations against the Rohingyas in Myanmar; the extrajudicial killings in the Philippines’ ‘war on drugs’, the arbitrary arrests and pre-trial detentions of human rights defenders in Cambodia, as well as the harassment and attacks on civil society activists and journalists through ambiguous laws on fake news across the region. The principle of non-interference has been detrimental to the region and has affected the realisation of a people-centred ASEAN. According to the annual performance report of FORUM-ASIA and the Solidarity for Asian People’s Advocacy Taskforce on the ASEAN Human Rights mechanism, the work of the ASEAN Intergovernmental Commission on Human Rights (AICHR) and the ASEAN Commission on the Promotion and Protection of the Rights of Women and Children (ACWC) has also been hindered by this principle. As ASEAN persists with its non-interference principle, the crisis waged against the Rohingya community in the Rakhine State of Myanmar continues to escalate alarmingly. Based on the fact-finding mission conducted by FORUM-ASIA, together with its members in Bangladesh, the influx of Rohingya refugees to Cox’s Bazar has surpassed 900,000, raising concerns on whether Bangladash has enough resources to deal with them. Based on interviews conducted in makeshift camps in Lambasia, Kutupalong, Balukhali, and Thyingkhali of Cox’s Bazar, Rohingya refugees have and continue to experience horrendous atrocities, including torture, sexual violence, and mass executions. The scale of the atrocities recounted by the refugees reveals clear patterns and elements of mass atrocity crimes, which include genocide, war crimes, crimes against humanity, and crimes of aggression. FORUM-ASIA urges ASEAN to look beyond its non-interference principle and take meaningful action to put a halt to all human rights violations in the region by facilitating constructive dialogue with all Member States. The ASEAN Charter stipulates that one of its purposes is to ensure that the peoples of ASEAN live in peace, and in a just, democratic, and harmonious environment. ASEAN also recognises, in the ASEAN Human Rights Declaration, the importance of upholding international human rights standards. These written commitments will remain hollow as long as the region continues to be plagued by human rights violations. FORUM-ASIA applauds the statement made by the Indonesian and Malaysian AICHR representatives this week, which called for urgent action by ASEAN to develop a ‘whole-of-ASEAN approach’ in cooperation with Myanmar to deal with the human rights and refugee crises emerging from Rakhine State, so as to bring peace and the rule of law, and to promote harmony and reconciliation between the various communities, in the country. The statement is the first to be issued by the ASEAN Human Rights Mechanism. FORUM-ASIA sees this as a positive commitment that should be echoed by all other ASEAN Bodies. FORUM-ASIA calls on the Heads of all ASEAN Member States, especially Singapore as Chair of ASEAN this year, to take concrete actions to promote, protect, and mainstream human rights throughout Southeast Asia. Review of the non-interference principle, particularly when it pertains to gross human rights violations and the deteriorating situation of human rights and civic space in the region, should be the first step to this end. FORUM-ASIA calls on all ASEAN leaders to immediately open all necessary channels to empower the AICHR to realise its mandate to address the challenges affecting the Rohingyas in Myanmar and refugees, and to take immediate action to resolve the humanitarian crisis. 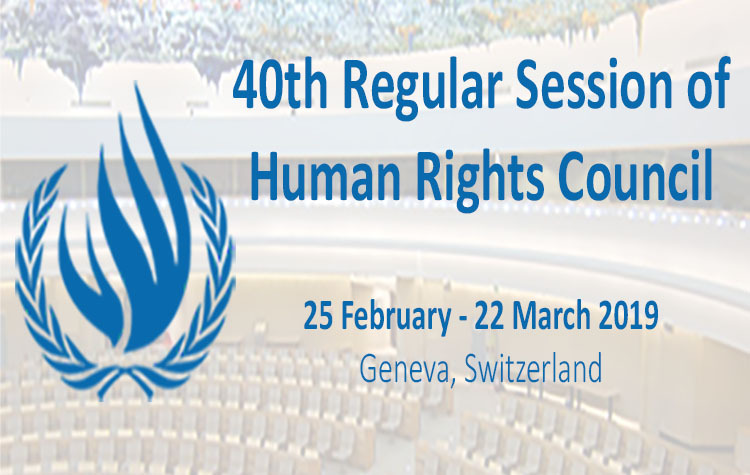 FORUM-ASIA reiterates its call made during the 37th regular session of the United Nations Human Rights Council for Singapore, as the Chair of the AICHR in 2018, to play a proactive role in empowering the AICHR to implement its mandate to monitor and protect human rights in ASEAN.